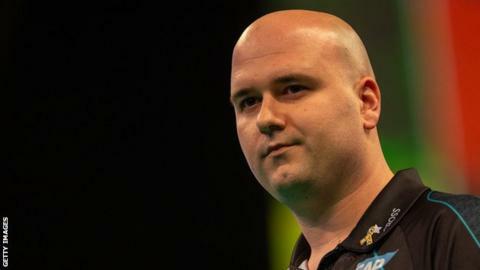 Rob Cross stayed top of the Premier League table after he overcame Peter Wright in the first of Thursday's fixtures in Liverpool. The 2018 world champion powered into a 6-2 lead against Scotsman Wright who later launched a comeback. 'Snakebite' Wright initially pulled it back to 6-4 but Cross held on to win 8-5 and stay top of the table. Cross leads by one point versus second-placed world number one Michael van Gerwen who thrashed Michael Smith 8-3. It was a comfortable win for van Gerwen in a repeat of the 2018 final as he averaged a huge 109.11 and hit 62% of his doubles against Smith. Cross broke into a 2-0 lead courtesy of a stunning 140 checkout early on but Wright proved to be tough opposition as he later broke back by pinning 106. However, Cross pulled off his eighth win of the campaign after throwing double 16 at the first attempt to wrap it up. Elsewhere, Gerwyn Price also overcame Mensur Suljovic 8-5 in the night's second match in an entertaining affair which saw the Welshman move into the play-off places. James Wade and Daryl Gurney played out a 7-7 draw as Wade came from behind to lead before Gurney rescued a point late on. The top four players after 16 games will qualify for the semi-finals at London's O2 Arena in May.